Our honeycomb garland is a sentimental cheer to all the mothers who decorated parties in the seventies, eighties and nineties. We love this classic party styling item so much. 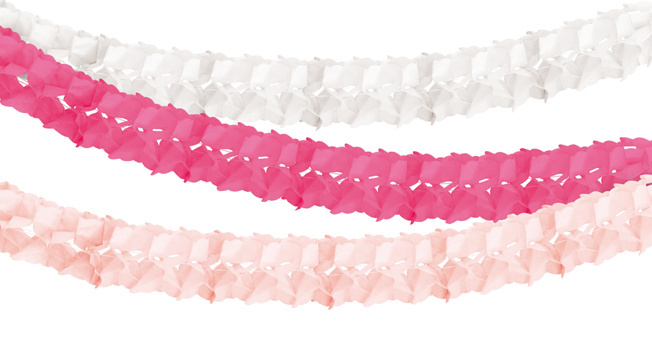 Our version is a pack of square shaped garlands in three solid matching colours for a modern look. The garlands have a string loop at each end so you can hang them horizontally or vertically. Perfect for a tropical or botanical summer party, baby shower, a birthday party or a wedding.